The tactical vest requires over 50 steps to don and doff, install armor and plates, installing the quick release long cable, attaching the back protector, yoke/collar and DAPS. 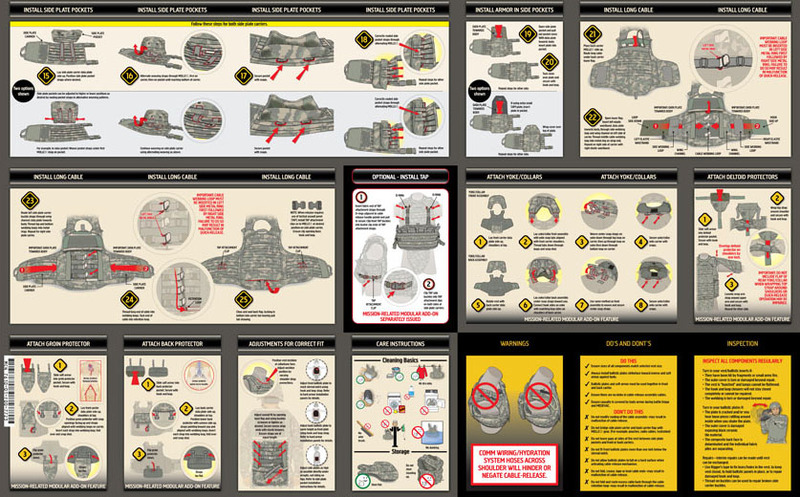 It also contains a list of warnings, do’s and don’ts and how to inspect the vest and ballistic inserts. 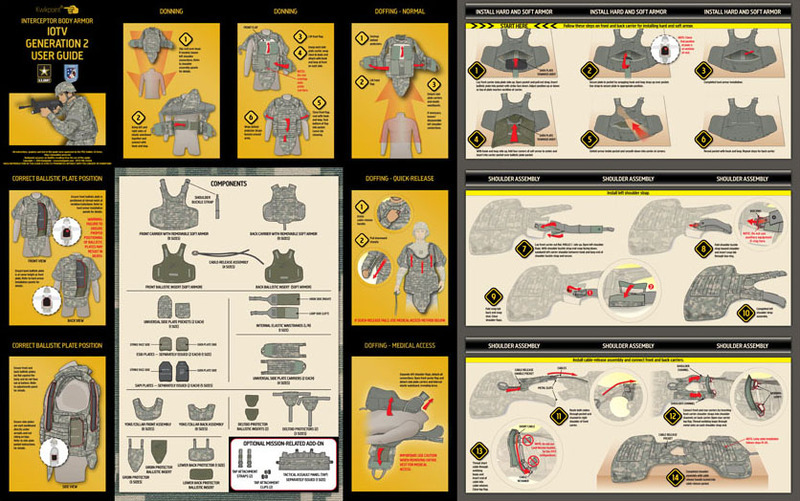 Interceptor Body Armor IOTV User Guide was developed in conjunction with PEO Soldier for the United States Army.